It’s that festive time of year again, cheer to all and yes, Santa clause IS coming to town. Although old saint Nick isn’t going to be here for a while, and everyone knows that it’s the elves that actually make all the Christmas presents, what everyone doesn’t know however, is that they also clean windows. 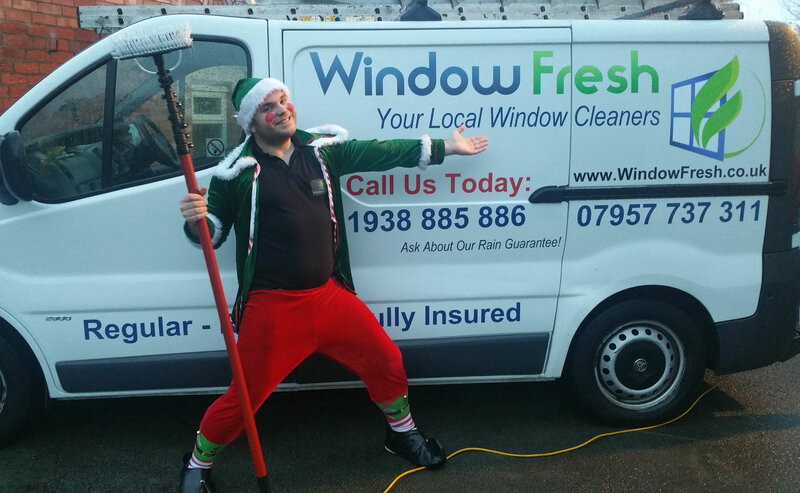 Meet the window cleaning elf! For the whole of December this particular elf has been out cleaning windows, up ladders cleaning out gutters and even making conservatory’s look brand new all over town. However it is fast approaching Christmas day and of course after the 25th he’s going to be too busy making presents for next years Christmas for all the good children (and adults too). So if you see this elf about give him a wave a toot, or just enjoy the jingling sound and Christmas songs as he travels from job to job, cleaning as he goes.